There are two ways you can enable/disable Google 3-pack. From here, click to enable or disable the Google 3-pack. Then, click "Save" before leaving the screen. 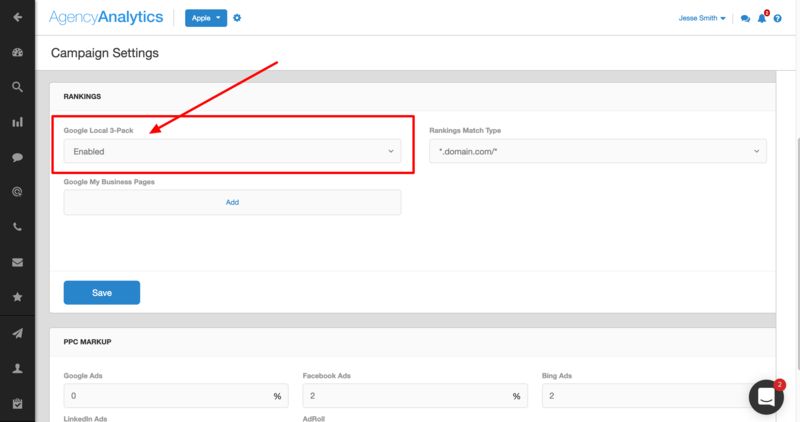 To toggle the Google 3-pack setting from enabled to disabled (or vice-versa), first navigate to your SEO --> Rankings module. Click the "Settings" icon. Then, part-way down the "Settings" screen, click the "Edit" link to take the Settings options out of read-only mode. In the drop down next to "Google Local 3-Pack", choose either "Enabled" or "Disabled" from the drop down, according to your preference and business needs. When finished, click "Save". 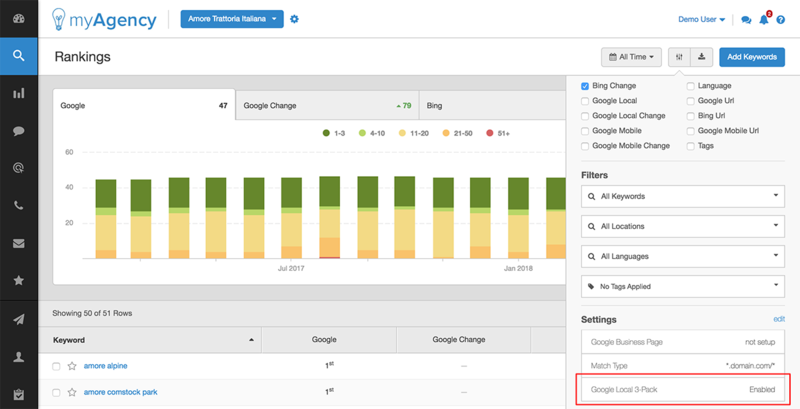 Since Google Local SERPs include 3 Pack results by their nature, the settings described here only apply to the standard Google rankings SERP tracking. 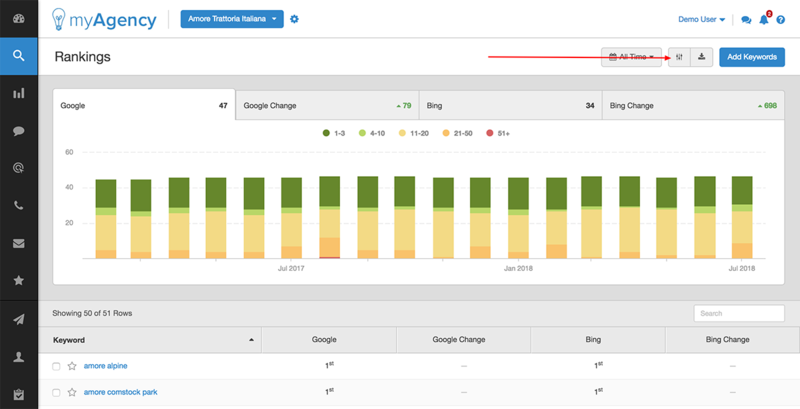 Toggling your Google 3 Pack setting to "Enabled" means that when we find your site or Google Business Page (GBP) in the 3 Pack, we'll report that as your organic rank, even if your site also appears elsewhere in the organic SERPS. Toggling your Google 3 Pack setting to "Disabled" means that we will completely ignore the 3 Pack when reporting your SERP rankings. Let's say that your site is Pizzaiolo.ca. 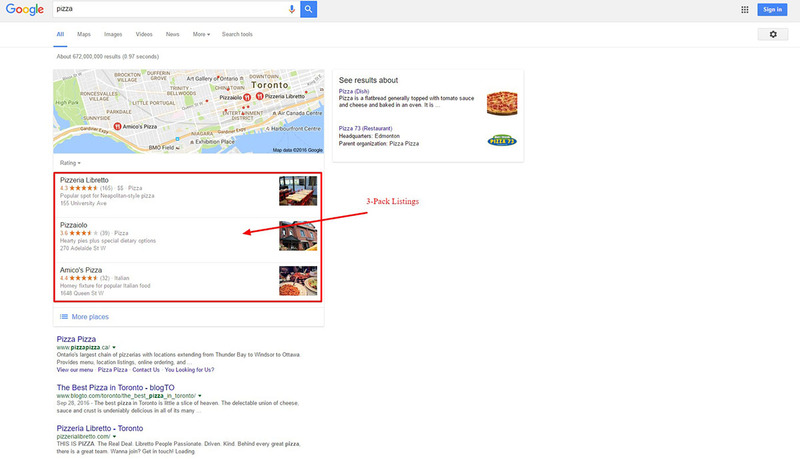 Notice that the site appears in the 1st position in the 3-Pack, and in the 3rd position in the organic SERPs. If you have the 3 Pack setting enabled in our dashboard, then your rank for the keyword "Pizza" will be reported as 1st, since we'd be using that 3-Pack ranking position. If you have the 3 pack setting disabled in our dashboard, then your rank for the keyword "Pizza" will be reported as 3rd, since we're ignoring the 3-pack, and reporting only the standard SERP results. What if my rankings appear to be inaccurate?